The roadbed was widened and new drainage had to be designed and built. 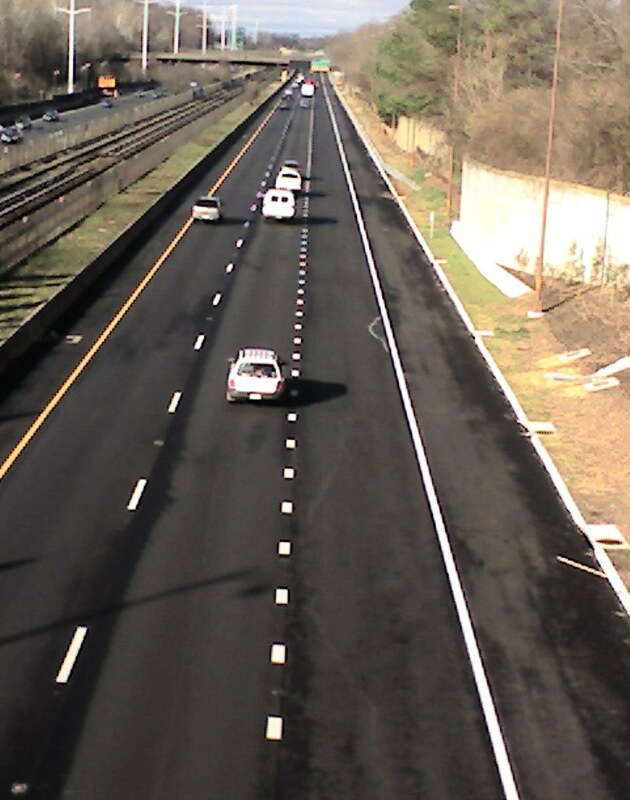 The VDOT web page says that the shoulder is designed to handle full traffic and thus could be used as a travel lane in emergencies. The project did not affect the Custis Trail in any way nor any of the soundwalls or adjoining neighborhoods. In my post last year I expressed concern that the widened bridge over the Custis Trail where it passes under I-66 would make it darker and the lighting should be reassessed. My opinion is that the lighting is still essentially the same as before and that the project did not change the daylight on the trail much if at all. I'm not sure why the shorter dotted lines are used to delineate the right lane. Perhaps to indicate that the lane is not continuous, although I have not seen this treatment in other locations, even where lanes exist for short distances. 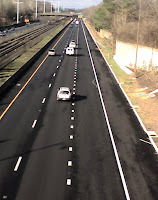 According to this VDOT press release, the other two spot improvements are on hold in the engineering phase until after the completion of the I-66 Multi-Modal study.